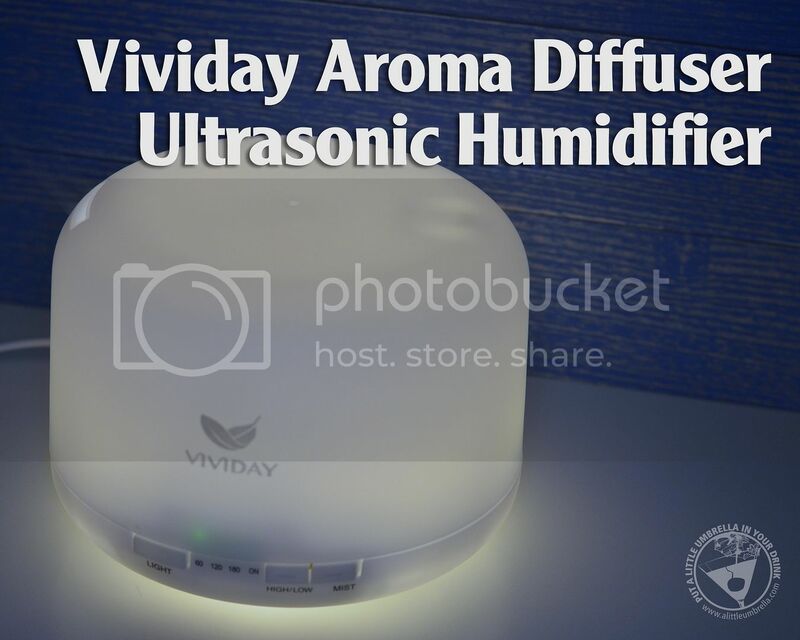 Enjoy the benefits of aromatherapy with the Vividay Aroma Diffuser. Simply pour some fresh water in its container and add a few drops of pure essential oil. It will give you a tempting, relaxing and soothing effect which will play on your mind for the entire day. Ultrasonic humidifiers can also have healing benefits. Advanced ultrasonic technology disperses a cool water mist that humidifies the air around you and can ease dry cough, asthma, flu, and cold symptoms. I have it next to my bed for this very reason. The warm white LED light creates a soothing and relaxing effect, while non-heating diffusion maintains the integrity of essential oil. Just add 2-3 drops of oil per 100 ml water to fill the room with fragrance that can lift your mood and relieve stress. Essential oil is not included. My favorites are eucalyptus oil for its cooling and refreshing effect, and lavender oil for its soothing and calming effect. 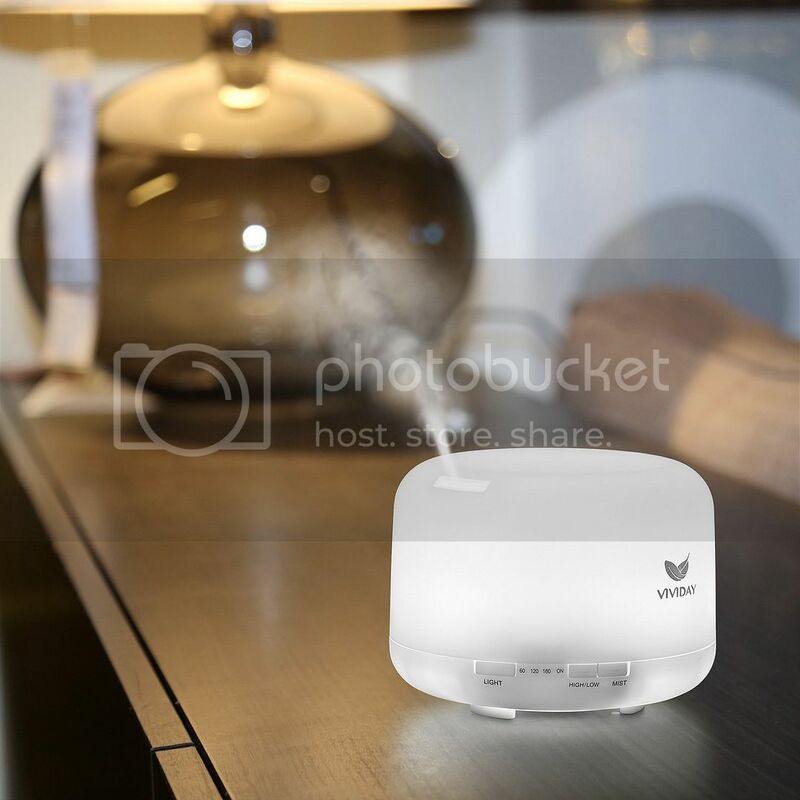 This aroma diffuser has a large 500 ml water capacity that lasts up to 12 hours in low mist mode and 6 hours in high mist mode. It features an aroma coverage of 538 sq ft. I like the choice of timer settings (60 min/120 min/180 min/ON) so I can set it to shut off while I am asleep. 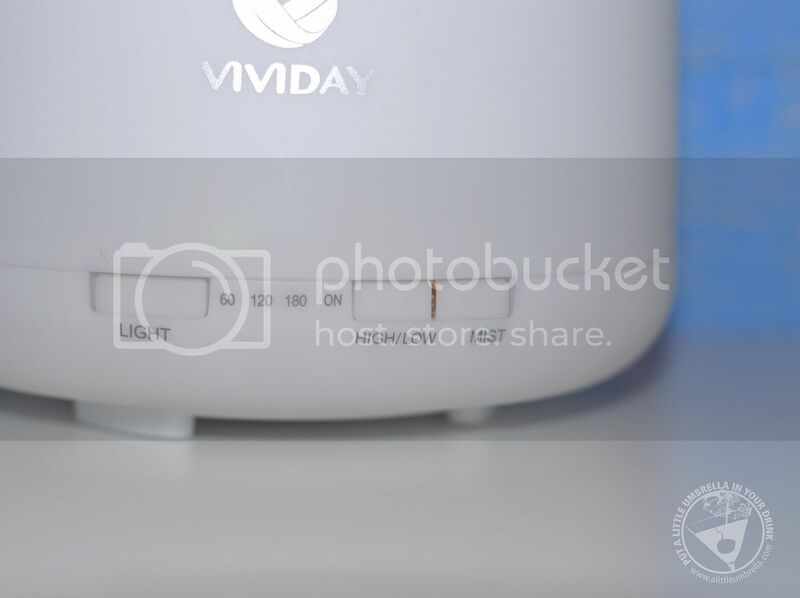 even if you don't set it, the humidifier will automatically shut off once water runs low. It works quietly with no extra sound. So it is perfect for use anywhere. Even in a baby's room or a spa. 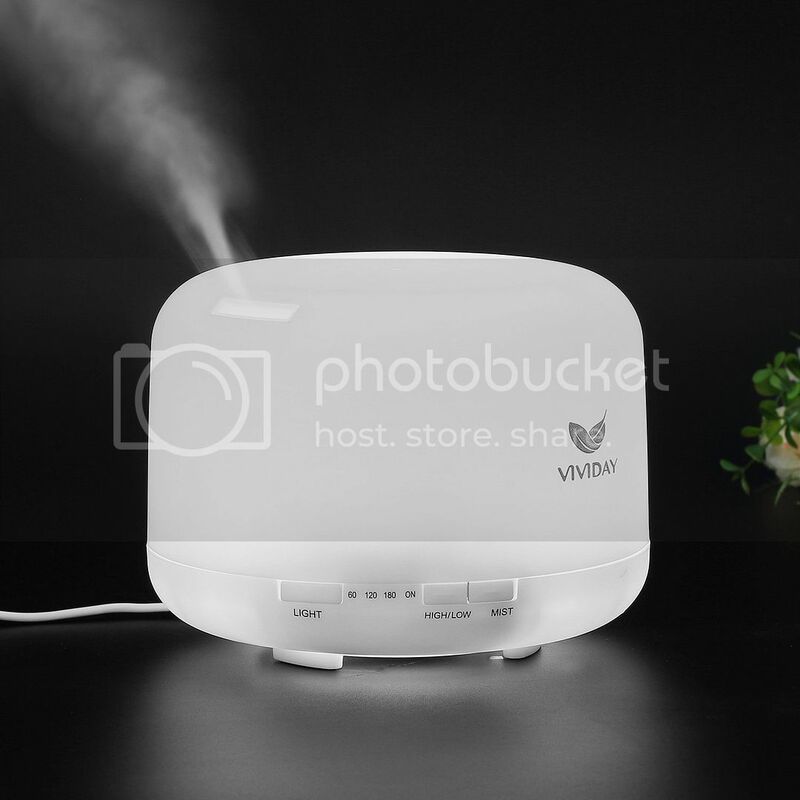 Do you use aroma diffusers or ultrasonic humidifiers? Connect :: Visit vividayus.com for more information on Vividay products. Connect with Vividay via Facebook and Twitter. 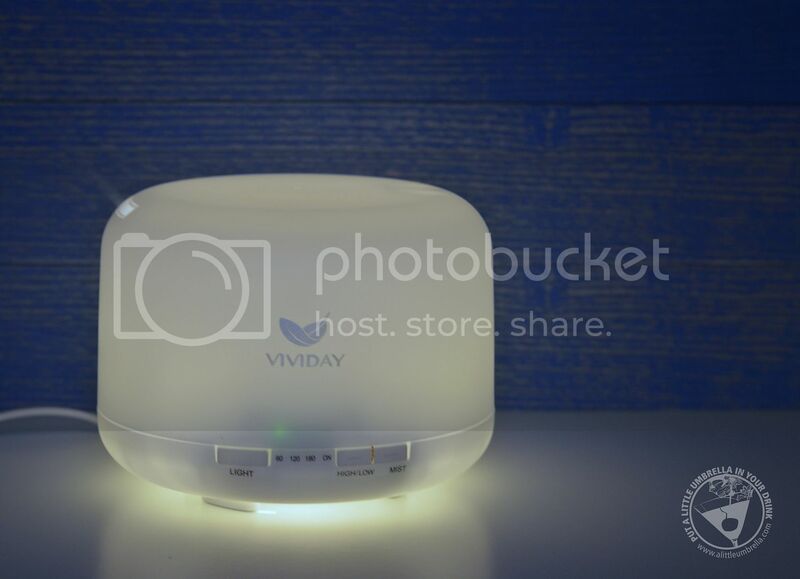 Buy It :: You can purchase the Vividay Aroma Diffuser Ultrasonic Humidifier for $37.99. You will need to purchase your own essential oils separately.